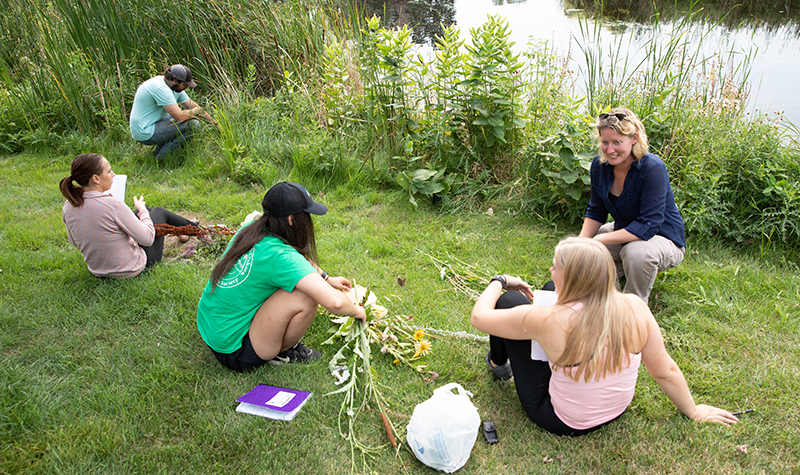 University of North Dakota parasitologist Vasyl Tkach recently was recognized by his peers as a top researcher in the field, not only for his groundbreaking work but also for his outstanding mentoring of students. Photo courtesy of Juan Pedraza. 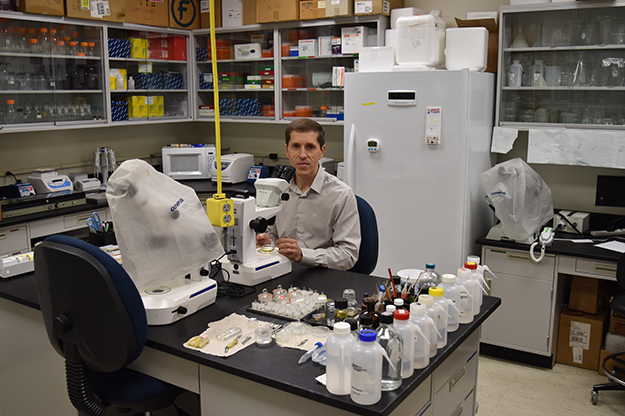 University of North Dakota parasitologist Vasyl Tkach recently was recognized by his peers as a top researcher in the field, not only for his groundbreaking work but also for his outstanding mentoring of students. 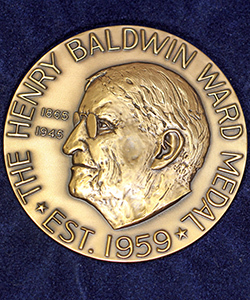 The Henry Baldwin Ward Medal is given once a year to researchers who’ve distinguished themselves in the field of parasitology. The American Society of Parasitologists bestowed the Henry Baldwin Ward Medal on Tkach at its annual meeting in July. The award includes an honorarium, a certificate and the Ward Medal, a special bronze medal designed by Justus F. Mueller. “It is indeed an honor to be recognized by one’s peers, especially my mentors in this field,” said Tkach, who grew up in a rural Ukrainian community. Tkach is on the faculty of the UND Department of Biology. The award is only given once a year and only to researchers who’ve distinguished themselves for key contributions to the field of parasitology. “It’s all about people who’ve solved important problems,” said Robin Overstreet, Professor Emeritus of parasitology at the University of Southern Mississippi and former director of the Gulf Coast Research Laboratory. Overstreet is a recognized and much-cited global leader in parasite research. Diversity of birds and their symbionts including parasites, in the southern Amazon, stretching from the Atlantic coast of Brazil to Ecuador and Peru. 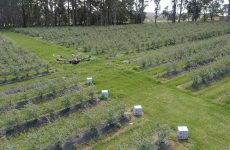 This project studies biodiversity, distribution and evolution of both birds and the associated community of symbionts living on and in birds. In the past year, most recently last summer, he went to two expeditions in different areas of the Amazon. Diversity and evolution of avian blood flukes that cause cercarial dermatatis, known as “swimmers itch.” As a part of this work, Tkach’s graduate student Susana Rios did a broad survey of these parasites in North Dakota waters, making it essentially the best-studied state for these parasites. This is a worldwide study. A project studying Neorickettsia, a group of rickettsial bacteria causing salmon dog poisoning—a disease with higher than 90 percent mortality rate if untreated—in the Pacific Northwest; Potomac horse fever across the U.S. and in other countries (more than 30 percent mortality and various birth defects in horses if untreated); and Sennetsu fever in humans in Southeast Asia. Flatworm diversity and evolution. Materials for this project have been recently collected in various parts of the USA, Canada, Brazil, Ecuador, Peru, Chile, Guatemala, Vietnam, Thailand and the Ukraine. 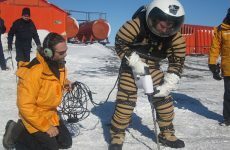 Tkach and his team do fieldwork on all continents except Antarctica. “In the field, we frequently have to camp for weeks,” Tkach says. Tkach has published more than 200 peer-reviewed papers and book chapters and co-authored papers with more than 230 colleagues from 28 countries. He is a member of editorial boards of five peer-reviewed journals, including associate editor of Acta Parasitologica and the Journal of Parasitology.